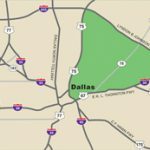 East Dallas primarily consists of an area located east of Central Expressway, north of Loop 12 and south of Interstate 635. The area began seeing growth during the late 1860s and it has become the most rapidly developing area, in terms of economic growth, in the DFW metropolis. The Dallas Area Transit System was first established in East Dallas, where the routes swiftly deliver people to key business areas within the city. The bus and rail line provides people affordable, stress-free transportation throughout East Dallas as well as other parts of the DFW metropolitan area. Downtown Dallas is also accessible via I-30 or Central Expressway. Enjoy the serenity of the Dallas Arboretum and Botanical gardens. The area boasts gorgeous scenery, fine dining, and adventurous water activities at White Rock Lake. The “Lower Greenville” area of East Dallas will appeal to the art enthusiast with its weekend events, such as art shows, wine pairing, and live music. During the month of October, East Dallas hosts the State Fair of Texas, which is one of the largest fairs in the world.